As a teacher, what are you passionate about? Is it the challenge of meeting your rigorous standards in ways that are engaging and fun for your students? Perhaps your passion lies in creating content-rich units for your students that better meet your students' needs than the teacher textbooks...and then sharing them with others on TPT! and you are seeking to discover it again. Imagine a giant ballroom filled with educators from around the country who chose to be there on their own dime and own time. Educators who are so devoted to being the best teachers they can be, that they spend their “free time” collaborating with other top educators through blogging and professional development events. Teachers overflowing with creativity. Educators who create their own incredible teaching resources and share them with others in order to make a difference for kids across the world. THIS is what this retreat weekend is all about! 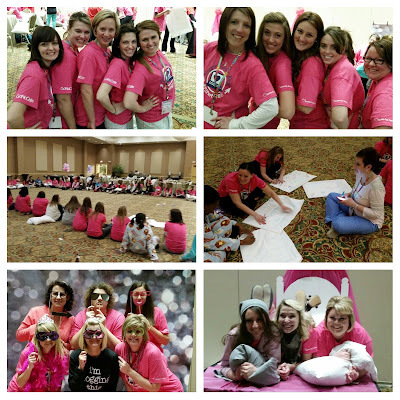 Take a peek at just a few pics from our event last year! The French Lick Springs Hotel…. 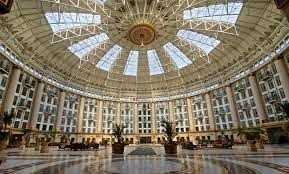 And the West Baden Hotel. This place has an AMAZING history! The French Lick staff treat us like royalty! We all LOVE-LOVE-LOVE this place! And folks, this event would not be possible without the help of our sponsors! Some of the most amazing companies in the country team up with us to give back to YOU...simply because they know how hard y'all work and want to support educators! Want to re-energize your teaching? WHAT: Spring Teacher/Blogger Meet-Up Retreat! Below is the basic agenda for the weekend. IF YOU CHOOSE... You may check in on Friday night and check out the resort on your own...or meet up with those of us who check in early! 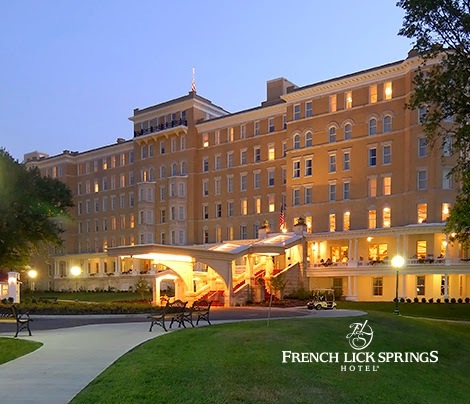 Rooms will be offered at the French Lick Springs Hotel in the "blogger block" for a discounted rate. (Hotel rates are $169/per night.) Regular rooms have two queen beds and sleep 4...but you may choose to add a roll-away and pack in even more co-workers or blogging friends! The room rate doesn't change...you just have one person book the room and then split the cost! Also, please note that during registration you can indicate that if you are willing to share a room with another teacher(s) and I can help match you up with other teachers to save some money! 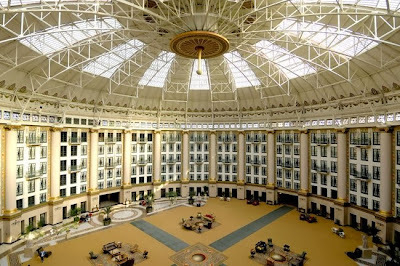 Many attendees meet up on Friday night for dinner or simply to gather and socialize at the beautiful West Baden Hotel (connected to French Lick Springs by trolley and free shuttles!) Come early and join us! 2:00 pm - Teacher Tips & Tricks for Blogging, TPT and more! After the luncheon and meet-up fun, we will be having a sharing session about teacher technology, blogging and creating TPT products. Bring some of your best ideas and a list of your favorite resources to share with others! You might want to bring your laptop for this too! 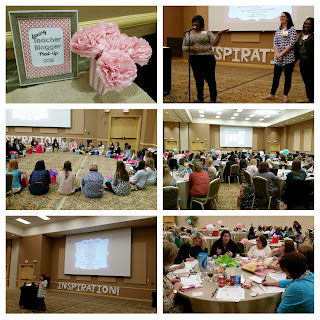 This session is totally optional...but is a fun way to share ideas and set up networks for blogging, Pinterest, "linky" parties, etc. Last year's workshop session was INCREDIBLE...and this year's will be even better! We will be sending out an email survey to everyone who registers, asking for topics of interest. Then, we will be recruiting topic discussion leaders with experience/expertise on the hottest teacher topics to help facilitate our group sharing. Oh! And look forward to lots and lots of informal pop-up presentations, as our questions lead us! 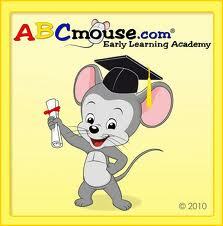 We will also be doing some round-table sessions with special topic/grade-level break outs. We believe everyone has an area of expertise and something to share! 9 pm - Saturday Night Social Event: Epic 80's Party!!! Teachers Just Wanna’ Have Fun, right? <-- (That’s a Cyndi Lauper 80’s reference, if ya didn’t get it! LOL) We had SO much fun last year at our Teacher PJ Party that we knew we had to bring back the Saturday night social event! We have a team of incredibly fun teacher-bloggers who are working hard brainstorming ideas on how to make this event super fun and incredibly inspiring! Stay tuned for more details…but get your leg-warmers, neon gloves and parachute pants ready! We will meet at the resort's famous breakfast buffet for our last gathering! Good food, good conversations, and goodbyes! 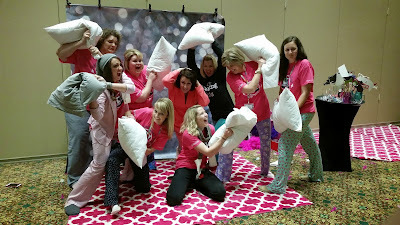 re-energized to be the best teacher-blogger you can be! Fun Options for Your Free Time! If you arrive early, or find some time between sessions or after dinner (or anytime! ), attendees may go their own ways, or travel in groups via complimentary shuttle, to any of the resort's entertainment hot spots! Suggested activities include visiting the West Baden Hotel's spectacular dome, where you can enjoy drinks at Ballard's Bar while watching the dome's colored "light show," or visiting the French Lick Casino for some gaming fun! Other options include visiting the Xanadu Coffee & Creamery for dessert or gathering with new friends in one of the resort's grand lobbies to share blogging tips and tricks! Deanna J. "This meet up is like no other! I had so much fun meeting and learning from bloggers from all over the country. The day was packed full of networking opportunities and fun engaging activities. You don't want to miss it!!!" Lupe R. "I loved the circle when we picked a business card of a teacher we would uplift during the year. That's so important for us to do that for one another because there are enough people putting us or our profession down." Lindsey C. "As a two year attendee, I have always enjoyed the meet up to network with other bloggers and rejuvenate my passion and love for teaching. It is something I have come to look forward to, and I am so grateful for the experience and forever friendships I have gained from the meet ups." 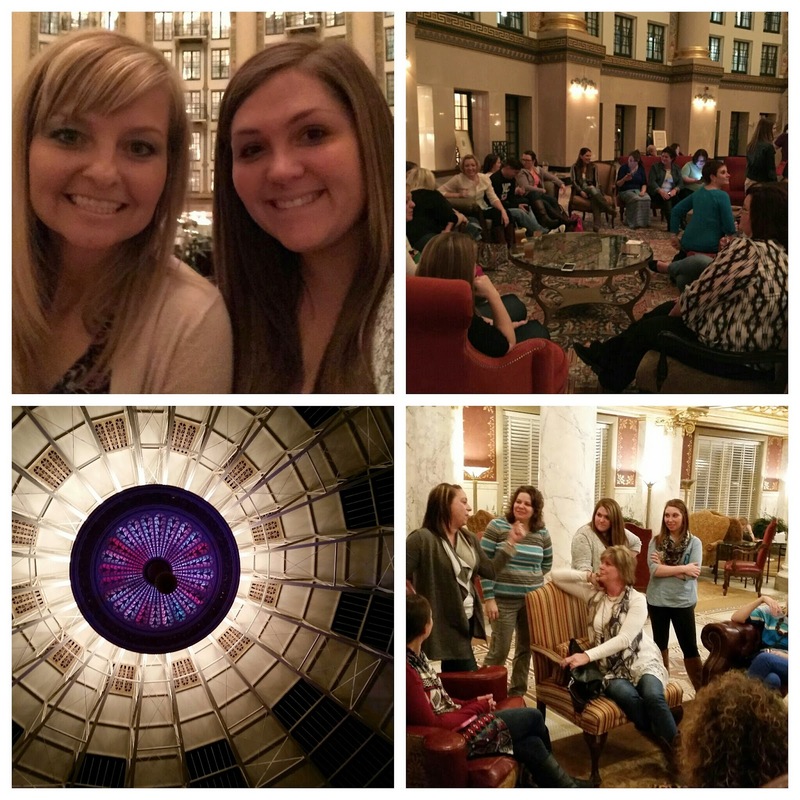 Megan W. "I went to French Lick by myself and was really pushed outside my comfort zone. I had no idea what to expect. It was great meeting friends that I've connected with online over the past 5 years. I loved how informal and stress-free the weekend was. I'm glad I took the plunge and went!" Annie W. "Spending time with fellow teachers who share my passion for teaching and blogging was SOOOO invigorating and exactly what I needed last year. Heck this meet up is one of the big reasons I decided to become a TPT seller. Loved seeing and meeting new blogging buddies while exploring the gorgeous resort. Between the tips and tricks from experienced bloggers and the fun experiences we shared, I will definitely be going again. " Kelsey B. "This meet-up was so inspiring! I left ready to teach and excited about what I do. It is so fun to meet other teachers that share the same passion as you and are willing to share their ideas with you. I had never created anything on TpT, and I learned so much. I met new teachers that I've stayed in close contact with and have learned so much from. It was definitely a weekend I remember and look forward to!" Simply click HERE to get more information about this event and pre-register! Don't delay to register! The registration deadline is February 11th!